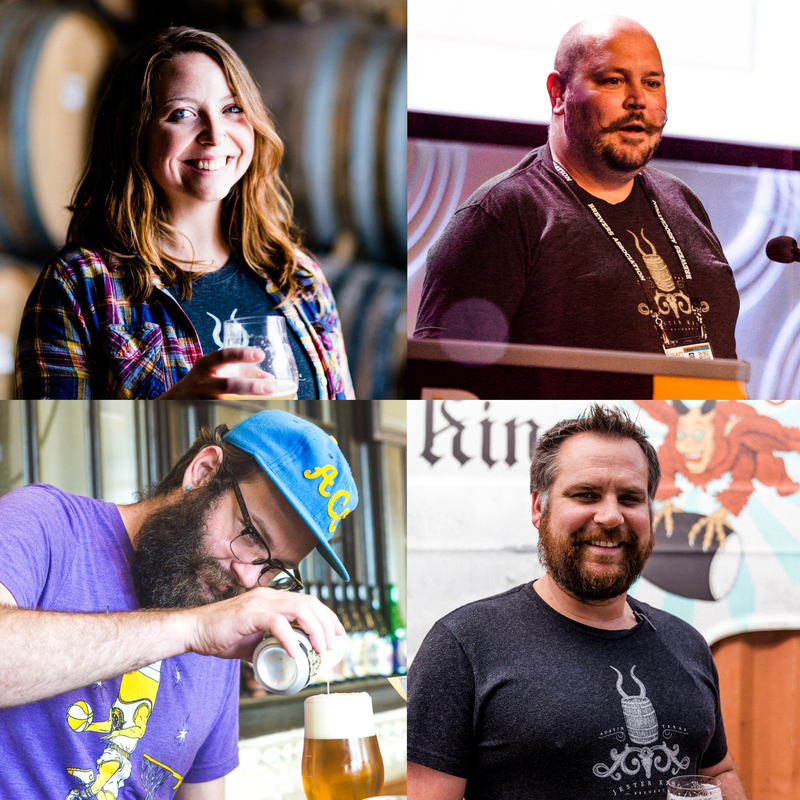 We're very pleased to announce that four of the individuals chiefly responsible for making Jester King the special place that it is today are now owners in the company! Head Brewer Averie Swanson, Tasting Room Manager Eric Kukla, Artist Josh Cockrell and Operations Manager Matt Piper are all now owners of Jester King! Averie Swanson started as a volunteer over five years ago and worked her way up from Apprentice to Brewer to Production Manager to Head Brewer. She's in charge of beer making at Jester King and oversees our recipe development, fermentation and blending. She also represents Jester King abroad and is a frequent lecturer on beer making both nationally and internationally. Eric Kukla began as a volunteer at our Grand Opening party in January, 2011 and has been with us ever since. He's in charge of curating the onsite experience at Jester King and effectively runs a mini-beer festival every weekend. Eric has emerged as a national leader in the movement toward tasting room-centric brewery business models. Josh Cockrell has been with Jester King since before we opened in 2010. He has been our artist since day one and is responsible for everything aesthetically associated with our brewery. In addition to art, Josh plays an important role guiding our future and fostering our company culture. Matt Piper began volunteering with us over five years ago, and as our Operations Manager, wears many hats. He helps run engineering, oversees distribution, helps guide our tasting room, and heads our sustainability efforts. Matt provides a great voice of leadership across the company and plays a major role in making everything run well. We couldn't be happier that Averie, Eric, Josh and Matt's hard work, passion, leadership and dedication has led to them becoming Jester King owners! They are all very special people whose impact on our past, present and future cannot be overstated.